Closing out day one of the Star Wars Celebration in London was undoubtedly the most anticipated panel, the Rogue One: A Star Wars Story panel. It began with an interrupted title crawl of A New Hope, signifying the underlining sacrifice that seemingly goes into acquiring those valuable Death Star plans. Captain Phasma herself, Gwendoline Christie, then took centre stage as the panel moderator, screaming profusely in excitement. Before kicking-off the panel Christie mentioned the tragic events that happened in Nice, France, to which French members of the crowd began touchingly singing the national anthem after a moments silence. Gareth then proceeded to talk about what it means to him to have directed a Star Wars movie. 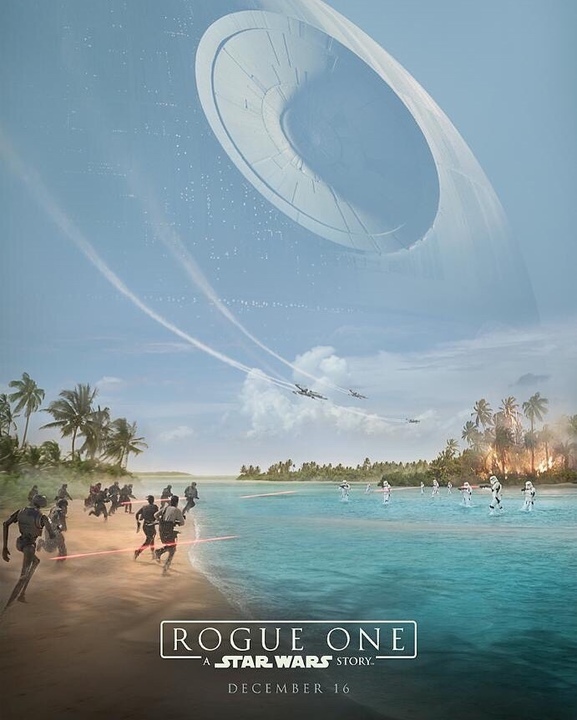 In addition to that we also got a glimpse of a new poster for Rogue One, which was being handed out to members of the audience. 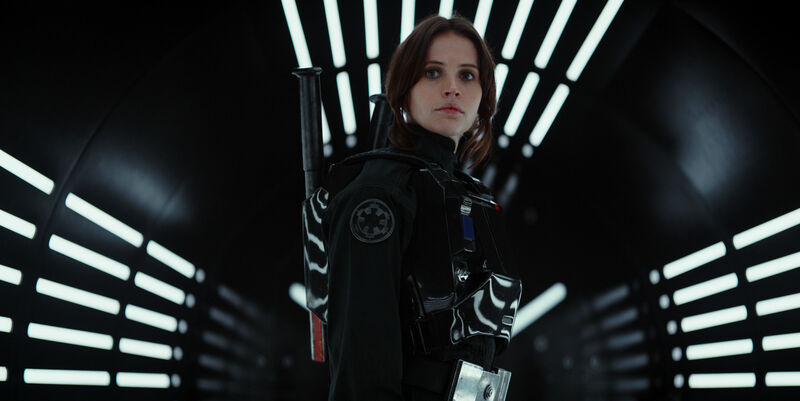 Most importantly, following the introduction of the cast, we got a sizzle reel of behind-the-scenes footage from Rogue One, which showcased new stuff. Ow and Ben Mendelson walked out in full costume surrounded by Deathtroopers, which was a crowdpleaser for sure. Afterwards each of the cast members touched on their respective characters. Felicity Jones marked the difference between her heroine and others, stating she is self aware of who she is and that’s what drives her forward. 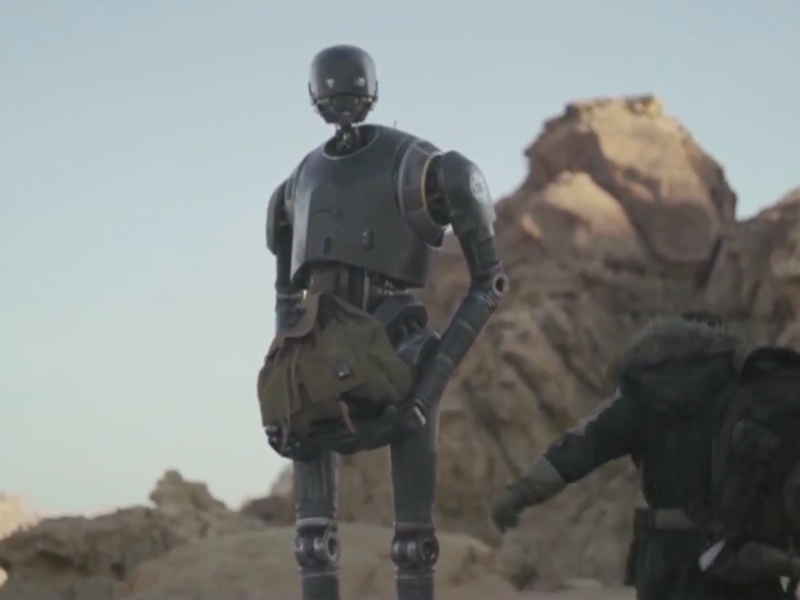 Diego Luna then revealed that his character, Captain Cassian Andor, holds the team together but also has a reprogrammed Imperial Droid as a friend named K-2S0 played by Alan Tudyk. As the panel drew to a close, Gwendoline Christie touched on the elephant in the room, Darth Vader. 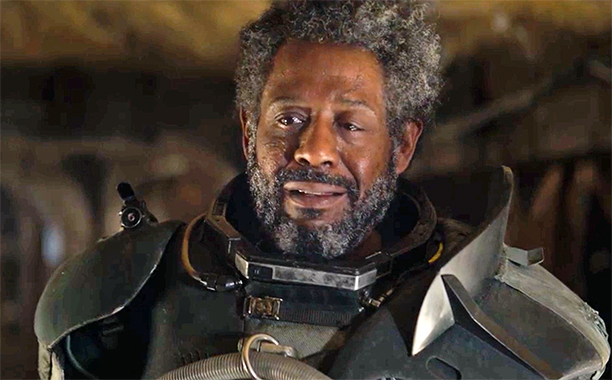 He is one of the film’s antagonists, voiced by legendary voice actor James Earl Jones, but we haven’t seen him in action. Those lucky enough to attend the panel seemingly saw a glimpse of him as the livestream of the panel cut off, but before that, Gareth Edwards shared a funny story about Vader. 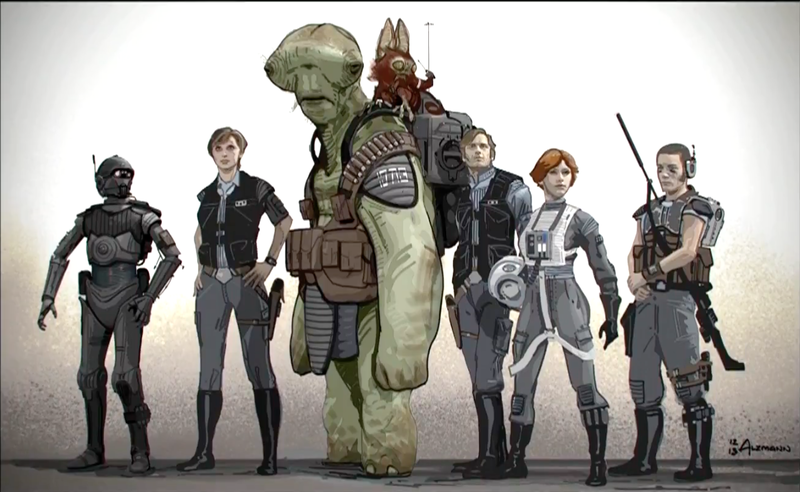 Though we saw no new trailer and didn’t get to see Vader, we were given a load on new footage highlighting the very practical style of Gareth Edwards filmmaking and the gritty tone of the movie. The more we see, the more the wait until December becomes ever more painful. 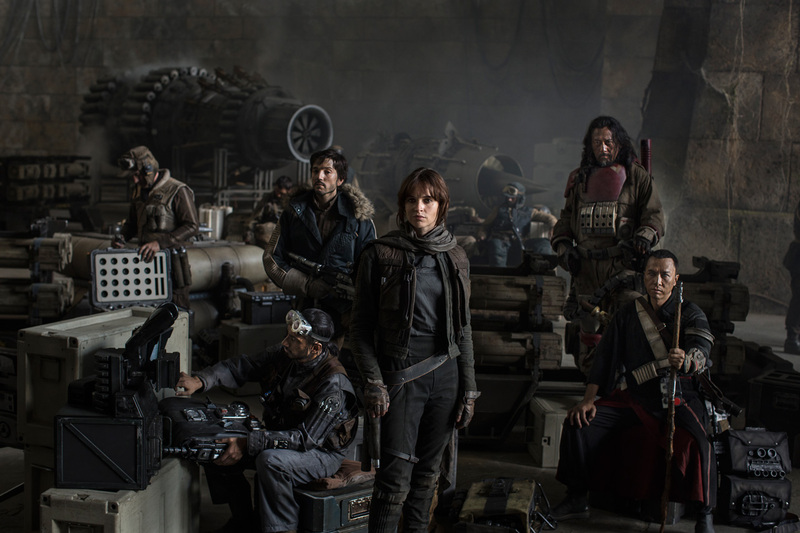 Rogue One: A Star Wars Story opens on December 16.